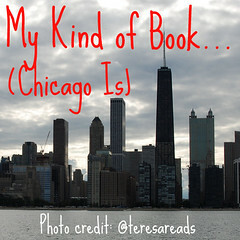 Today I want to talk about a book I am dying to read, but which I was not able to fit in in time to review it for my Chicago Author Month. At 560 pages, “Some Sing, Some Cry” is a sweeping epic of the African American experience from emancipation through Vietnam, told through the lives of one family. Interestingly enough, “Some Sing, Some Cry” is actually the result of a collaborative effort between sisters. Ntozake Shange and Ifa Bayeza are both successful playwrights, with Shange also having published fiction and poetry. Although Shange lives in New York, Bayeza makes her home in Chicago, which is why I chose to spotlight this during my Chicago Author’s Month. I am typically not a huge fan of historical fiction set in the United States, but this is exactly the sort of thing that sways me. I love epics like “Some Sing, Some Cry” that showcase a nation and a people’s history while at the same time personalizing events through a focused group, such as a single family. From the few pages I read, “Some Sing, Some Cry” seems to be well-written and moving, just the sort of book I’d like to settle in with over a long weekend. Have read “Some Sing, Some Cry?” If so, what did you think of it? Is this the type of book that appeals to you? I received no compensation for this post, including a copy of the book for review. Eleanor is an orphan, but she’s a gentlewoman, the ward of Lord Beaufort and companion to his wife. With no dowry, she doesn’t really expect to ever marry. Edward Morland, however, sees an advantage in Eleanor. Morland is no more than a wealthy sheep farmer, but his son Richard is somewhat educated and he wants to bring social cache into their family to mix with their riches and create a powerful family dynasty. Although Eleanor was chosen for her connections and the fact that her lack of dowry makes her attainable for a sheep farmer, but Edward could not have chosen a better bride for his son. Not only is Eleanor very fertile, bringing numerous healthy children into the family, but she is also incredibly strong-willed and savvy. It is her influence, more than anything else, that continues to catapult the family’s fortunes during the tumult of England during the War of the Roses. The Morland Dynasty series is one I’ve been hearing about for years now, so I was quite excited about reading “The Founding,” which is the first book in the series. I was also a bit hesitant, however. What is my expectations were too high? At 500+ pages that would be a lot of disappointment. Luckily, “The Founding” absolutely lived up to the hype for me. From what I know about this series, it is set against hundreds of years of English history. I enjoy these sorts of books, but sometimes it seems that they simply try too hard to insinuate the main characters into every monumental event covered. I did not find that to be the case with “The Founding,” the events seemed to occur naturally, although when the characters did not experience the events first hand they occasionally had to engage in some slightly unnatural expositions. I’m really not sure whether or not to be happy about discovering the Morland Dynasty series. On one hand, great new way to experience English history; on the other hand, huge series of big fat novels when I already have more I want to read than I could ever get to. The Morland Dynasty series could be very hazardous to your TBR piles, but if you’re up to the challenge and a fan of English historical fiction then I would certainly recommend this series, I will definitely be reading more.